Writer Bryan Hill (POSTAL, BONEHEAD) and artist Jeff Spokes will launch APHRODITE V this July from Image/Top Cow. In the near future, Los Angeles is a city on the brink of evolution, struggling with a new wave of terror fueled by black-market technology. Enter Aphrodite V: a fugitive from her masters, seeking individuality and purpose. She is the bleeding edge of biomechanics and L.A.’s best hope against a new enemy—one that seeks to become a god among machines. “This is a great way for people unfamiliar with this side of the Top Cow universe to jump into a story about the intersection of technology, humanity, and justice,” said Hill. 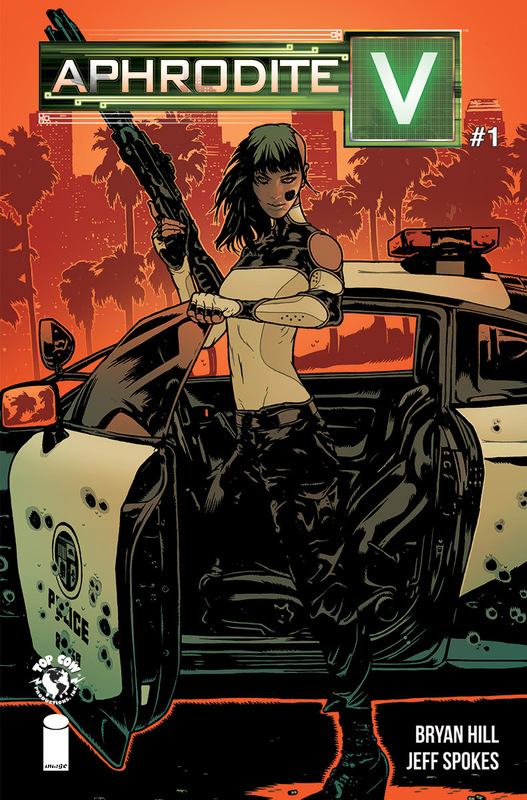 APHRODITE V #1 (Diamond code: MAY180030) hits comic book shops Wednesday, July 18th. The final order cutoff deadline for comics retailers is Monday, June 25th.